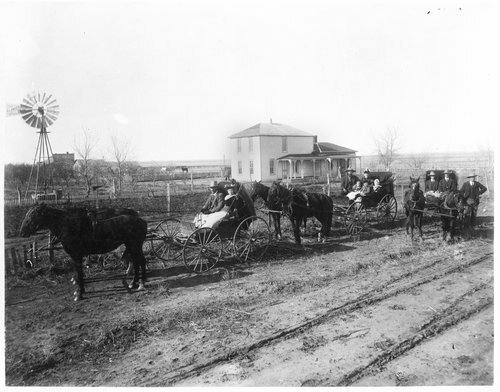 A photograph showing horse drawn carriages in front of the Henry Mull ranch, Clark County, Kansas. The house was formerly the jail at Clark City. Visible in the photograph is a windmill.